Keep checking here for the latest on future new car giveaways. You can also enter our daily social media giveaways to win an iPad Mini, Kindle, and more! 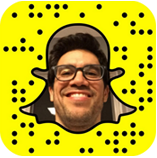 Follow Tai on Snapchat @TaiLopez for info. Information collected will be used for sweepstakes verification only, you will not receive unsolicited mailings. NO PURCHASE OR PAYMENT OF ANY KIND NECESSARY TO ENTER OR WIN. A PURCHASE WILL NOT INCREASE YOUR CHANCES OF WINNING. INTERNET ACCESS AND SOCIAL MEDIA ACCOUNT REQUIRED FOR ENTRY. Void in ALASKA, FLORIDA, HAWAII, NEW YORK and where prohibited or restricted by law. These Official Rules shall serve to govern each Car Giveaway Promotion and all elements thereof. Sponsor reserves the right to modify these Official Rules at any time by posting revised Rules at www.tailopez.com (the "Website"). Do not proceed if you do not agree to be bound to these Rules. ELIGIBILITY: The Tai Lopez "Secret Password (Golden Ticket): Car Giveaway" Promotion ("Promotion") is open only to legal residents of the 48 contiguous United States (excluding residents of AK, FL, HI and NY) and the District of Columbia ("U.S.") who are physically residing in the U.S. at time of entry and a time of prize award and who: (a)have a valid US driver's license, (b)are 18 years of age or older or have reached the legal age of majority in their state of legal residence if applicable (an eligible "entrant"). In addition, you will be required to provide proof of valid, current, U.S. automobile liability insurance coverage prior to vehicle prize award/delivery if applicable or else prize will be forefeited. IN ADDITION, YOU ARE NOT ELIGIBLE TO ENTER OR WIN A PRIZE IN THIS PROMOTION IF YOU HAVE RECEIVED A PRIZE (WHOSE ACTUAL VALUE WAS US$1,000 OR MORE) IN ANY OTHER TAI LOPEZ PROMOTION ON/WITHIN ONE YEAR FROM THE PROMOTION PERIOD START DATE HEREIN. Employees, officers, directors of MAS Group, LLC ("Sponsor"), including Tai Lopez, their respective subsidiaries and affiliated companies, agents, advertising/promotion agencies, entities or individuals engaged in the development, production, administration, or implementation of the Promotion (collectively referred to herein as the "Promotion Entities"), and the immediate family members (spouse, siblings, children and parents including foster and step-relations) or those living in their same household (whether or not related) as any person in any of the preceding categories are not eligible to enter or win a prize. By entering this Promotion, each entrant fully and unconditionally agrees to and accepts these Official Rules, the information provided by/in Promotion communications including but not limited to social media platforms and promotional website(s), and the decisions of the Sponsor (and its authorized representatives) which are final and binding with respect to all matters pertaining to this Promotion and all elements thereof. PROMOTION PERIOD: The Promotion begins at approximately 12:00 noon Pacific Time ("PT") on or about January 23, 2017 and ends at 11:59 PM PT on June 1, 2017, unless cancelled or suspended sooner or extended in whole or in part, as provided herein (the "Promotion Period"). The Promotion consists of various individual sweepstakes announced as stated herein below; the existence and entry period for each of which is as stated herein below (or if different as communicated) from time-to-time through-out the Promotion Period by Tai Lopez on various social media platforms (sweepstakes "Entry Period"). Sponsor reserves the right, without obligation, to conduct one or more sweepstakes simultaneously during any particular time-frame, on one or more different social media platforms, and has the unlimited right not to conduct a sweepstakes during any particular time-frame. Sponsor reserves the right to cancel, suspend, modify or extend this Promotion and/or a sweepstakes, and any parts thereof by announcing such at Tailopez.com (the "Website") and/or via social media platforms and revising these Rules accordingly, effective immediately. However, in doing so, Sponsor will, if commercially practicable and reasonable, make any such announcement at the conclusion of a sweepstakes. Sponsor's clock shall be the official time keeping device for this Promotion. All time referenced in connection with the Promotion is Pacific Time. Entrants are solely responsible for determining the corresponding time zone in their respective jurisdictions; Promotion Entities disclaim all liability or responsibility relating thereto. SWEEPSTAKES ANNOUNCEMENTS/HOW TO ENTER: From time-to- time during the Promotion Period, anticipated but not guaranteed to be between Saturday and Wednesday of the same week, Tai Lopez will make an announcement ("Announcement") of a promotional word(s) on one or more social media platform(s) ("Promotion Word(s)"). To enter, send an email to the email address announced i.e. sweepstakes@tailopez.com or goldenticket@tailopez.com with the correct Promotion Word and your full name during the Entry Period ("entry"). Eligible entries must be received by Sponsor between Saturday 12:00 am PT and Wednesday 11:59 pm PT of the same sweepstakes week ("Entry Period") (or if different as communicated). Only the emails received by Sponsor from eligible entrants (in accordance with the number/nth number) which contains the correct Promotion Word(s) (as determined by Sponsor) for the sweepstakes, and which are received by Sponsor during the applicable Entry Period may be eligible to be entered into that sweepstakes Drawing, subject to compliance with these Rules, prior verification and eligibility ("Finalists"). The Promotion Word announced may be different for different social media platforms, as may be the announced number/nth email, but all will be placed into the same sweepstakes Drawing, unless otherwise stated in the Announcement. In the event of a tie, whereby nth number emails are received at the exact same time, subject to eligibility all tied emails will be Finalists and entered into the applicable sweepstakes Drawing. In the event insufficient emails are received during an Entry Period on any particular platform to meet all number/nth email numbers announced, the number of eligible entries to go into the Drawing shall be five (5), or the nth emails actually received shall still go into the Drawing. If five (5) are not received, or no nth email numbers are reached, Sponsor reserves the right in its sole discretion either to void all announced numbers, extend the applicable sweepstakes, and announce new/different number/nth email numbers which supersede and replace the previously announced numbers on the respective platform, or to cancel and void that particular sweepstakes in its entirety. Sponsor reserves the right to select, interpret the accuracy of, and/or change Promotion Words and/or numbers/nth email numbers for each social media platform, and to determine the sufficiency or accuracy of entries relating thereto. By entering this Promotion, entrants agree to be bound to these Official Rules and the decisions of the Sponsor, which are final and binding. Proof of entry is not proof of eligibility for this Promotion. If any entrant does not strictly satisfy the eligibility requirements AND comply with these official rules for this Promotion, they will be ineligible to enter or win a prize in this Promotion. Limit one (1) entry per person per platform, per day per sweepstakes. Limit one (1) prize per person during this entire Promotion. Without limitation, entrant will be disqualified if Sponsor considers for any reason the entrant/entry, or any element thereof, not to be in the spirit of the Promotion, ineligible or otherwise not compliant herewith, or will have a detrimental impact on Sponsor, Tai Lopez, this Promotion, any of Tai Lopez' brands, products or services. Further, Sponsor reserves the right not to award a prize if doing so would have a detrimental impact on Sponsor, Tai Lopez, this Promotion, any of Tai Lopez' brands, products or services, or bring Sponsor or any of the other Promotion Entities into public disrepute or scandal. Entries may only be submitted by a single registered social media account user; group or commercial submissions are not permissible. Multiple entrants are not permitted to share the same device, social media account, IP or email address. Entrants may not enter through a Promotion club, exchange site (or similar method), with multiple or false social media and/or email accounts, identities, IP addresses, e-mail and/or phone numbers, nor shall entrants use any other device or artifice to enter or participate, or to enter or participate more than the permitted number of times. Any suspected use of artifice, cheating, fraud, on-line clubs (or similar methods), exchange sites, robotic, automatic, macro, script, programmed or like methods as determined in Sponsor's sole and absolute discretion, will void all such entries by such methods, and disqualify any entrant suspected of using/benefitting from such methods. Without limiting the foregoing, Sponsor has the right to verify entrants' eligibility and compliance with these Official Rules and, on the basis of its investigation, to disqualify any entrant at any time during or after the Promotion Period and require immediate prize return if applicable. Promotion Entities assume no responsibility for ineligible, noncompliant, lost, late, incomplete, inaccurate, delayed, destroyed, damaged, or misdirected entries (in whole or in part) (including but not limited into junk/spam folders). Entries must be complete, compliant, submitted via email, and received by Sponsor within the Entry Period. Entries submitted via any other entry method will not be accepted. Normal internet access and device usage charges imposed by your mobile plan and/or on-line service may apply to entry via mobile device. For those entrants entering with a mobile device: Promotion may not be available via all mobile carriers. Messaging & data rates apply to internet access via mobile devices. Other charges may apply; check your mobile plan for rates/details. RANDOM DRAWING/ODDS: One (1) potential Grand Prize winner will be selected in a random drawing conducted by Sponsor (or its authorized representative) on or about Friday following the end of the applicable sweepstakes Entry Period from among all eligible Finalist entries received for each respective sweepstakes (each is the sweepstakes "Drawing"). Odds of winning depend on the number of participants/Finalists emails received during the Entry Period. Potential Grand Prize winner will be notified by phone and/or social media account (in Sponsor's sole discretion) on or within approx. one to five (5) working days thereafter. POTENTIAL WINNER MUST SELECT THE PRIZE THEY WISH TO ACCEPT DURING THE LIVE WINNER NOTIFICATION WITH SPONSOR (up to 5 minutes total). Prize selection is final and cannot be changed. Potential Grand Prize winner will be required to complete, sign, and return an Affidavit of Eligibility, Liability and, where lawful, Publicity Release within the time specified by Sponsor, or else prize will be forfeited and an alternate potential winner will be randomly selected. IN THE EVENT AT ANY TIME A POTENTIAL WINNER IS FOUND TO BE INELIGIBLE, OR NONCOMPLIANT, OR IS OTHERWISE NOT CONFIRMED AS A WINNER FOR ANY OTHER REASON, THE POTENTIAL WINNER WILL BE DISQUALIFIED, PRIZE WILL BE FORFEITED AND THAT POTENTIAL WINNER WILL NOT BE ELIGIBLE TO RECEIVE A PRIZE, OR MUST RETURN PRIZE IMMEDIATELY, IF APPLICABLE. PRIZE: Grand Prize one (1) per sweepstakes: Winner will have the choice of ONE of the following prizes: a 2017 base-model vehicle (as described herein) OR USD $10,000 (awarded in the form of cash or a check, at Sponsor's discretion) (each is referred to individually as the "Grand Prize" Or Prize.) Vehicle awarded may be winner's choice of ONE of the following 2017 new base-model vehicles: a Mustang©; Challenger©; Camaro©; Prius©; Jeep Patriot©, OR F-150© Truck ("vehicle", or "vehicle prize"). Manufacturer's Suggested Retail Price ("MSRP") of the vehicle ranges: between $24,000 up to a max. total value of $28,000. Actual color, model, features and equipment of the vehicle will be determined by Sponsor in its sole and absolute discretion. To be eligible, winner must physically reside in the U.S. (as defined herein), be 18 years of age or older or have reached the legal age of majority in their state of legal residence if applicable, have a valid U.S. driver's license and provide proof of automobile liability insurance coverage, and take possession of their vehicle purchased through the same U.S. dealership as that used for winner's vehicle purchase/delivery. Winner will accept possession of the car in their name at a U.S. location selected by Sponsor. SPONSOR RESERVES THE ABSOLUTE RIGHT TO PURCHASE THE VEHICLE PRIZE OUTRIGHT , OR TO REQUIRE THE WINNER TO FINANCE THE VEHICLE'S PURCHASE THROUGH THE DEALERSHIP. In the latter case, this will require a full financial background and credit check and car will be appear on winner's credit history. MAS Group will then pay winner for monthly payments on the car. A contractual agreement will be signed between winner and MAS Group outlining responsibilities and commitments from each party. Base MSRP amount on the Selected Vehicle will be paid for by Sponsor (either in outright purchase or finance agreement) but vehicle possession must be assumed and registration obtained by, through and in winner's name, or else prize will be forfeited. Prize does not include tax, title, registration, license and vehicle preparation fees, which are the sole cost and responsibility of winner (hereinafter collectively referred to as "prize recipient" or "winner"). Prize winner is solely responsible for any and all fees and/or costs including title, license, registration, and insurance incurred in claiming, registering, or using the vehicle prize. Prize winner must accept delivery of the vehicle at the location designated by Sponsor on or within three (3) days of notification that the vehicle is available (this process may take up to ninety (90) days or more). Upon prize delivery, prize recipient assumes all costs, responsibility, damages, liability and expenses relating directly or indirectly to the vehicle and its use/misuse, damage or destruction- thereafter, (by whomever or whatever cause) and agrees to release and hold harmless the Release Parties (defined below) from any and all threatened or actual claims, actions, responsibilities, damages, and liabilities relating thereto. Except for Manufacturer's New Vehicle Limited Warranty the vehicle is awarded AS IS WITHOUT WARRANTIES, EXPRESSED OR IMPLIED, AS TO THE QUALITY OR CONDITION OF THE VEHICLE PRIZE AND EXPRESSLY DISCLAIMS ANY WARRANTY OF MERCHANTABILITY OR FITNESS FOR A PARTICULAR PURPOSE. Manufacturers of vehicles stated herein are not sponsors of, nor otherwise associated or affiliated with this Promotion. Any trademarks associated therewith are the trademarks or registered trademarks owned by the respective vehicle manufacturer. Actual MSRP of vehicle may vary depending on Selected Vehicle, time of award and tax, title, registration and license rates in prize recipients' jurisdiction. In the event a winner does not meet any requirements for Vehicle, prize will b orfeited and an alternate winner may be selected. All features or upgrades may be allowed only in Sponsor's sole discretion and only if permitted by delivery dealer and paid for by a prize recipient. Prize recipient must meet all eligibility requirements contained in these Official Rules and Affidavit. Promotion Entities shall not have any responsibility or liability whatsoever for any vehicle or other property loss, destruction or damage, or for personal injury, or death, in connection with the prize provided pursuant to the Promotion and/or any person's participation in the Promotion. Promotion Entities shall not be responsible for delays in delivery of the prize vehicle, and delivery is subject to availability. Sponsor, however, shall use all reasonable efforts, subject to availability, to deliver the vehicle to the Sponsor-designated delivery dealer within six months of completion of verification process. Vehicles will not be delivered to a dealership in HI, AK or outside the U.S. In addition, prize recipient may also be requested to complete additional documentation as required by Sponsor and/or the entity providing the vehicle in order to claim their prize. Sponsor, in its sole reasonable discretion, reserves the right to substitute the vehicle prize with a cash equivalent equal to the lowest approximate dealer cost of one (1) of the aforementioned vehicles as selected by Sponsor. All expenses not expressly specified herein are solely the prize recipient's responsibility. Prize cannot be assigned, transferred, redeemed for cash, or substituted, except by Sponsor who may, at its sole discretion, substitute a prize with a prize of equal or greater value for any reason. All U.S. federal, state, and local taxes (which are anticipated to be significant) are the sole responsibility of a prize winner, who will be issued an IRS form 1099. Limit one (1) prize per person/household address during the entire Promotion Period. Any and all additional costs, expenses and upgrades not specifically stated herein are solely the responsibility of the prize recipient; prize recipient is advised to seek independent counsel regarding tax implications of their prize. Only the number and description of prize(s) stated in these Official Rules is available to be won in the Promotion; in no event will Promotion Entities be responsible for awarding more than the stated number or description of prize(s). PRIZES, AND ANY ELEMENT THEREOF, INCLUDING ANY PRODUCTS RECEIVED AS A PRIZE, MAY NOT BE TRANSFERRED, ASSIGNED, SOLD, RESOLD, AUCTIONED, BARTERED, OR PLACED INTO ANY OTHER UNAUTHORIZED CHANNELS OF DISTRIBUTION. Any prize pictured in advertising or Promotion materials is for illustrative purposes only and may not be the actual prize awarded. LIMITATIONS OF LIABILITY: BY PARTICIPATING, ENTRANTS AND PRIZE RECIPIENTS AGREE TO THE FULLEST EXTENT PERMITTED BY LAW TO RELEASE, DISCHARGE AND HOLD HARMLESS THE SPONSOR, TAI LOPEZ, OTHER PROMOTION ENTITIES, ALL SOCIAL MEDIA PLATFORMS, AND THEIR PARENT, AFFILIATED AND SUBSIDIARY COMPANIES, ADVERTISING AND PROMOTION AGENCIES, AND THEIR RESPECTIVE OFFICERS, DIRECTORS, EMPLOYEES, INDEPENDENT CONTRACTORS, REPRESENTATIVES, ASSIGNS AND AGENTS ("RELEASED PARTIES") FROM AND AGAINST ANY AND ALL ALLEGED AND/OR ACTUAL CLAIMS, CAUSES OF ACTION, DEMANDS, LOSSES, SETTLEMENTS (WHETHER OR NOT LITAGATION OR OTHER LEGAL PROCEEDINGS ARE COMMENCED), LIABILITIES AND DAMAGES OF ANY KIND WHATSOEVER EXISTING NOW OR ARISING IN THE FUTURE (INCLUDING, WITHOUT LIMITATION, BODILY INJURY, PERSONAL INJURY, DEATH, DISABILITY AND PROPERTY DAMAGE, VIOLATION OF PROPRIETARY, PUBLICITY, PRIVACY OR ANY OTHER RIGHT), COSTS AND EXPENSES (INCLUDING, WITHOUT LIMITATION, REASONABLE ATTORNEYS' FEES, COURT COSTS, SETTLEMENT AND DISBURSEMENTS) DIRECTLY OR INDIRECTLY ARISING OUT OF ENTRY IN WHOLE OR IN PART, THE ACCEPTANCE, POSSESSION, USE, MISDIRECTION, OR MISUSE OF A PRIZE OR ANY ELEMENT THEREOF, PARTICIPATION IN THE PROMOTION AND/OR PRIZE RELATED ACTIVITY, AND ACCESS/USE OF ALL WEBSITES, WHETHER OR NOT CAUSED BY THE NEGLIGENCE OF ONE OR MORE OF THE RELEASED PARTIES. To the fullest extent permitted by law, entrants and prize recipients covenant not to sue any Released Party or cause them to be sued regarding any matter released above; and further covenant not to disaffirm, limit or rescind this release. A waiver by one or more of the Released Parties of any term in these Official Rules does not constitute a waiver of any other provision. In no event will the Released Parties be responsible or liable for any indirect, incidental, consequential or punitive damages arising out of this Promotion, participation in Promotion and/or prize related activities, the use or misuse of a prize or any element thereof, or access to, and use of any participating social media platforms and/or Website(s) or the downloading from and/or printing material downloaded from said site(s). Without limiting the foregoing, this Promotion is provided "AS IS" without warranty of any kind, either express or implied, including but not limited to, the implied warranties of merchantability, fitness for a particular purpose, and non-infringement. By entering and/or accepting a prize, entrants and prize recipients hereby irrevocably consent, where lawful, to the use (but without obligation) by Sponsor, Tai Lopez (and their affiliated companies and their respective authorized representatives) of their name, image, username, handle, photographs, videotape, likeness, hometown name, biographical information, voice as well as any statements made by winner regarding the Promotion and/or Tai Lopez (provided they are true) for publicity, trade, advertising and promotional purposes in all media now known or hereafter developed worldwide, including but not limited to the Internet, mobile devices, and WorldWide Web, without additional compensation, and without the right of review, notification or approval. In the event of noncompliance, if an entrant is or becomes noncompliant or ineligible during or after the Promotion Period, or a potential winner fails to respond within the time specified, or cannot be reached within two separate attempts using the contact information (in Sponsor's discretion) provided at time of entry, that prize will be forfeited in its entirety and an alternate potential winner may be selected at random from remaining applicable Finalists in Sponsor's discretion. Prize or prize notifications that are unclaimed, returned, undeliverable, un-timely or otherwise not compliant will be forfeited and will not be awarded or re-awarded. Unclaimed or un-awarded prizes will NOT be re-awarded. GENERAL CONDITIONS:Promotion Entities are not responsible for lost, late, misdirected, incomplete, unintelligible, illegible, stolen, returned, or undelivered entries, e-mail, or for lost, interrupted or unavailable satellite, network, server, Internet Service Provider (ISP), App, Website, or other connections (un)availability, (in)accessibility or traffic congestion, or miscommunications, or failed computer, network, telephone, satellite, hardware, software or lines, or technical failure, or jumbled, scrambled, delayed, or misdirected transmissions, or computer hardware or software malfunctions, failures or difficulties, incompatibility, or errors of any kind whether human, mechanical, electronic or network, or the incorrect or inaccurate capture of entry or other information, nor for the failure to capture any such information. Persons who tamper with or abuse any aspect of the Promotion or Website, as solely determined by the Sponsor, will be disqualified. ANY ATTEMPT BY ANY PERSON TO DELIBERATELY DAMAGE THE WEBSITE OR UNDERMINE THE LEGITIMATE OPERATION OF THE PROMOTION IS IN VIOLATION OF CRIMINAL AND CIVIL LAWS, AND SHOULD SUCH AN ATTEMPT BE MADE, SPONSOR RESERVES THE RIGHT TO SEEK REMEDIES AND DAMAGES FROM ANY SUCH PERSON TO THE FULLEST EXTENT PERMITTED BY LAW, INCLUDING CRIMINAL PROSECUTION. Sponsor is not responsible for injury or damage to participants' or to any other person's computer or mobile device related to or resulting from participating in this Promotion or any element thereof or downloading materials from or use of the Website. Should any portion of the Promotion or part thereof be, in Sponsor's sole opinion, compromised by virus, worms, bugs, non-authorized human intervention, failures, errors, or other causes which, in the sole opinion of the Sponsor, corrupt or impair the administration, security, integrity, fairness or proper play Sponsor reserves the right at its sole discretion to suspend, modify or terminate the Promotion, or any element thereof and select winner(s) from eligible entries received prior to action taken, or as otherwise deemed fair and appropriate by Sponsor. Sponsor is not responsible for any incorrect or inaccurate information, whether caused by site users, tampering, hacking, or by any equipment or programming associated with or utilized in the Promotion, and assumes no responsibility for any error, interruption, deletion, defect, delay in operation, or transmission, communications line failure, theft or destruction to, or unauthorized use of the Website. In the event of a dispute regarding entries received from multiple users having the same e-mail account, the authorized subscriber of the e-mail account used to enter at the time of entry will be deemed to be the entrant and must comply with these Rules. Authorized account subscriber is the natural person who is assigned the e-mail address by the Internet Service Provider (ISP), on-line service provider, or other organization responsible for assigning e-mail addresses or phone numbers. If there still remains a dispute, the entry will be deemed to be submitted by the primary individual associated with the account used at time of entry. In the event of any discrepancy, ambiguity, inconsistency, or any other error or miscommunication (by any person or in any medium) in any posts, online advertising, social media platforms, Promotion materials and/or any other communications or information relating to this Promotion, these Official Rules shall govern. Promotion Entities shall not be liable to entrants, prize recipients or any other person or entity for failure to execute the Promotion or supply a prize, or any part thereof, by reason of any act of God, any action(s), regulation(s) order(s) or request(s) by any governmental or quasi-governmental entity (whether or not the action(s), regulation(s), order(s) or request(s) prove(s) to be invalid), equipment failure, terrorist act, cyber-attack, earthquake, war, fire, flood, explosion, unusually severe weather, hurricane, embargo, labor dispute or strike (whether legal or illegal), labor or material shortage, transportation interruption of any kind, work slow-down, civil disturbance, insurrection, riot, or any similar or dissimilar event beyond their reasonable control. DISPUTES/ARBITRATION: THIS PROMOTION IS GOVERNED BY THE LAWS OF THE UNITED STATES AND THE STATE OF DELAWARE WITHOUT RESPECT TO CONFLICT OF LAW DOCTRINES. Entrants are solely responsible for compliance with all applicable laws, rules and regulations including but not limited to tax and similar reporting obligations imposed by the Federal, state and local authorities. As a condition of participating in this Promotion, entrants agree that any and all issues and questions concerning the construction, validity, interpretation and enforceability of these Official Rules, participant's rights and obligations, or the rights and obligations of the Sponsor in connection with the Promotion, and any other disputes that cannot be informally resolved between the parties arising out of or connected with this Promotion or any element thereof shall be resolved individually, without resort to and waive their rights to claim any form of class action, EXCLUSIVELY BEFORE A NEUTRAL ONE PERSON ARBITRATION PANEL located in Los Angeles, CA applying Delaware law. WINNER LIST: To obtain the name of a winner, mail a U.S. sufficiently self-addressed, stamped envelope to be received by the end of the Promotion Period, specify the sweepstakes about which you are inquiring, and send to: Tai Lopez: Secret Password Car Giveaway Winners List, 8581 Santa Monica Blvd., Suite 703, West Hollywood, CA 90069. Limit 1 request per person/household address.